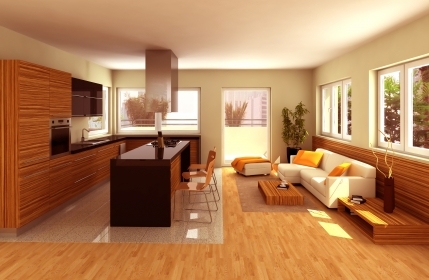 Cost to install bamboo flooring varies greatly by region (and even by zip code). Get free estimates from flooring contractors in your city. Cost to install bamboo flooring varies greatly by region (and even by zip code). 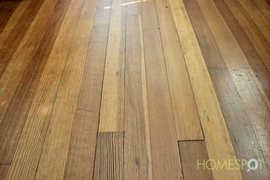 If you are in the market for a durable and yet eco-friendly flooring material; consider bamboo as the ultimate solution. It is harder than some traditional hardwood flooring options, such as Red Oak and Maple, and is just as easily installed. It is created in a plank-style and is installed in the same way as the engineered wood options. The removal and re-installation of moldings and baseboard. Is bamboo something that can be installed by a DIY enthusiast? Most flooring experts state that it takes the experienced individual to understand the complexities of a flooring installation, but many people can manage the basic cuts and techniques required for such a project. Installation of the new flooring - Most bamboo flooring will cost approximately $5 per square foot, uninstalled. This means that the total price for the family room would be $1250. This does not include the cost of any vapor barriers 3 or foam underlay that many homeowners choose to use as well. If the project is not tackled on a DIY basis, the homeowner can assume an increase in the square foot price for the installation, and HardwoodInstaller.com places the price at nearly $20 per square foot, installed, for the complete project. Additional materials costs for the DIY might include an insulating underlay, glue or adhesive, stains and sealants, and any recommended cleansers. Generally, all new bamboo flooring demands a veneer 4 to ensure the best results, and most cost no more than $40 per container. Even experienced property owners can discover that replacing the subflooring 1 is beyond their skill level and will hire a carpenter to tackle the installation of plywood 2 over a concrete base or of new floor joists. The carpenter will charge between $70, and should need no more than a full business day to complete a project of this size. Although bamboo is similar to engineered flooring, it will still require the homeowner to avoid walking on the surface for at least two full days after installation. Additionally, the finishing techniques usually require a very potent veneer 4 or sealant, and even the "green" options can be extremely noxious. This might mean that some homeowners will also have to consider a day or two in a hotel as part of the total budget. 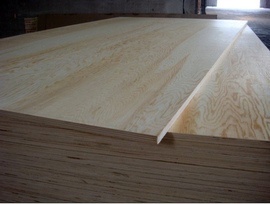 How much does it cost to install bamboo flooring in my city? Cost to install bamboo flooring varies greatly by region (and even by zip code). To get free estimates from local contractors, please indicate yours.